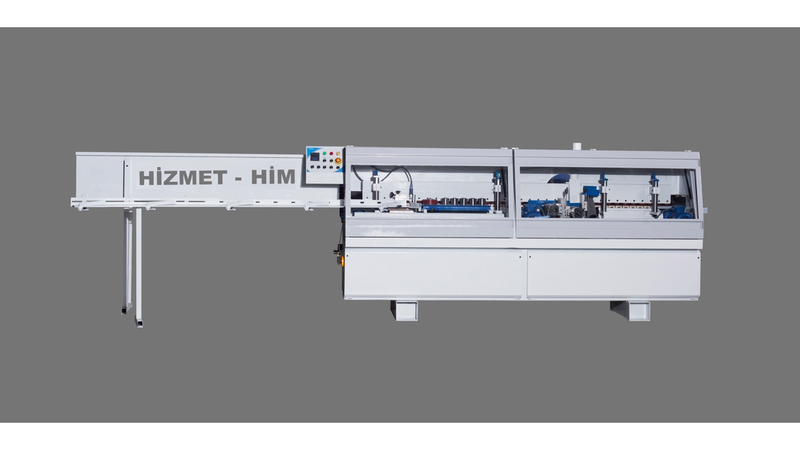 Machine for gluing L-shaped jamb is using in production the door, door casing and door frame. This machine is intended to bond two MDF panels certain size (certain width and thickness) at 90 ? with subsequent formation of a jamb (sill) in the form "L"-profile. Also, the machine performs all the operations necessary to make the final appearance of the billet. All processes on the machine are fully automated.